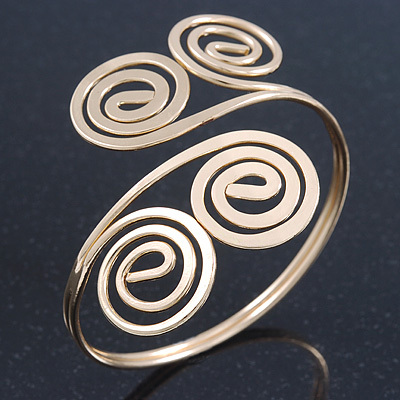 This unique Egyptian style upper arm bracelet is made from gold plated metal, decorated with twirl detailing. To wear, simply position it on the top part of your arm. The bangle is adjustable, so will fit most upper arms. You can make it smaller or larger by giving it a squeeze. The front section measures about 65mm in width. The inner diameter is about 8cm (about 26cm) if not adjusted.